Katie Lee joined “Extra’s” AJ Calloway at our H&M Studios in Times Square to chat about her new cookbook. 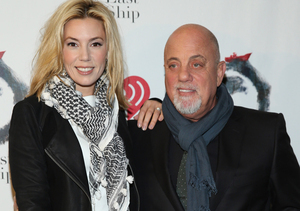 She also congratulated ex-husband Billy Joel on recent news he and girlfriend Alexis Roderick are expecting. Katie Lee's Pink Grapefruit Margarita Recipe!